Graduate students are considered "students," not "employees" so they can't unionize. But, many are hoping to change this with a new petition. For most graduate students, teaching undergraduates, research and grading can take up long hours. But, they’re still considered students, not employees. Most of these students, however, will tell you that this is, in fact, work and would like to be considered employees by universities rather than students. While many graduate students are given a stipend and some even have the benefit of health insurance, being classified as a “student” rather than an “employee” puts them in a sticky situation. Living on a small graduate stipend isn’t realistic and, as a result, many graduate students in this particular conundrum at private universities are hoping to change that. 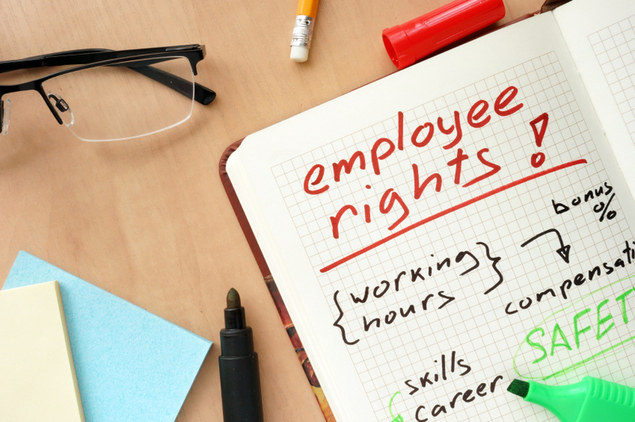 Employees have rights and can form unions, which students aren’t able to do. So, there’s not much these students can do about their current situations. NPR reports that there are around 1.7 million, only about 2 percent of which are represented by unions. The majority of these represented students are at public universities governed by the state – not by federal and labor laws. Until now, that is – or, at least, potentially. The National Labor Relations Board (NLRB) recently decided to review this issue. The board previously held a decision that students were not employees, however flip-flopped this within a case in 2000. Then, under new administration, the board reversed itself yet again, falling back on the original decision four years later. These changes, according to a labor and employment professor interviewed by NPR, are mainly tied to a current board’s political makeup. But, recently, students at Columbia and The New School petitioned for a change. They’re hoping to convince the National Labor Relations Board to allow them to be considered employees and, therefore, unionize as such. However, not everyone seems to agree on this issue which has long sparked debate. According to NPR’s report, many argue that “unions in higher education are increasingly necessary, as universities — like private corporations — rely more on cheaper labor.” Columbia University also responded to this within an emailed statement by spokesperson, Caroline Adelman, stating that graduate students have long been involved in teaching and research – it’s simply a part of postdoctoral training. According to Adelman’s statement, graduate students relationships with their teaching mentors are “"unlike typical employer-employee relationships and not well served by a one-size-fits-all collective bargaining process." Furthermore, the general counsel for the American Council on Education, Peter McDonough echoed this stance. "Graduate students are students — students first," he told NPR. NPR reported that McDonough went into detail regarding this issue and that “research universities in particular give their faculty wide latitude in setting up grad student work hours and schedules. He says losing that flexibility might jeopardize some kinds of research. He also says the process has become very politicized, and current labor board members are reconsidering this issue for political, instead of policy reasons. Even if his side loses this decision, he says, it could always change back when the composition of the labor board changes again,” as related by NPR. Last April, the above issue of employee status for graduate students was under review. According to the Washington Post, the National Labor Relations Board (NLRB) ruled that "graduate students who work as teaching and research assistants at private universities are school employees, clearing the way for them to join or form unions that administrators must recognize." The 3-to-1 ruling overturned a previous 2004 ruling from Brown University which determined that " grad students engaging in collective bargaining would undermine the nature and purpose of graduate education." This is a huge change in terms of graduate students' lifestyles because it means that graduate students across the country now have a bargaining tool for larger stipends, compensation and health coverage. So, graduate students, rejoice: life's about to get a lot better.